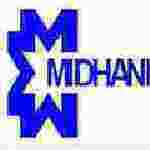 Midhani Operative trainee Recruitment 2016-17 notification apply for 148 posts : Mishra Dhatu Nigam Limited (MIDHANI) welcomes application for the post of 107 junior operative trainee, senior operative trainee, junior assistant. Candidates who completed their SSC, ITI, diploma, graduation is a good opportunity.The individuals who are the occupation seekers searching for govt employments in Andhra Pradesh this is the best chance to apply. Competitors read the official notification then read all the guidelines and miners precisely then apply before the last date online application got. All the interested and eligible candidates can apply before 15th July 2016. Candidates Age Limit: The age of the candidate is 30 years. Academic qualification details: Candidates should have SSC plus ITI with NAC. Academic qualification details: Candidates should have diploma in relevant engineering in mechanical engineering/ metallurgy engineering / civil engineering/ electrical engineering / EEE with 60% marks. Details of Fee particulars: All the interested and eligible candidates are need to pay application fee through online payment only by using net banking / cards. SC / ST / PWD / EXSM are exempted from application fee. Official website: All the interested and eligible candidates can apply online through official website of Mishra Dhatu Nigam Limited (MIDHANI) http://www.midhani.gov.in from 25th June 2016 to 15th July 2016. Important Dates: Starting date for the submission of application is 25th June 2016. Last date for the submission of application is 15th July 2016.